Nick Clegg has set out his final conditions for any coalition involving the Liberal Democrats. With just four days to go until the election, Nick Clegg has been speaking at a "passionate" rally in Bermondsey, south London. 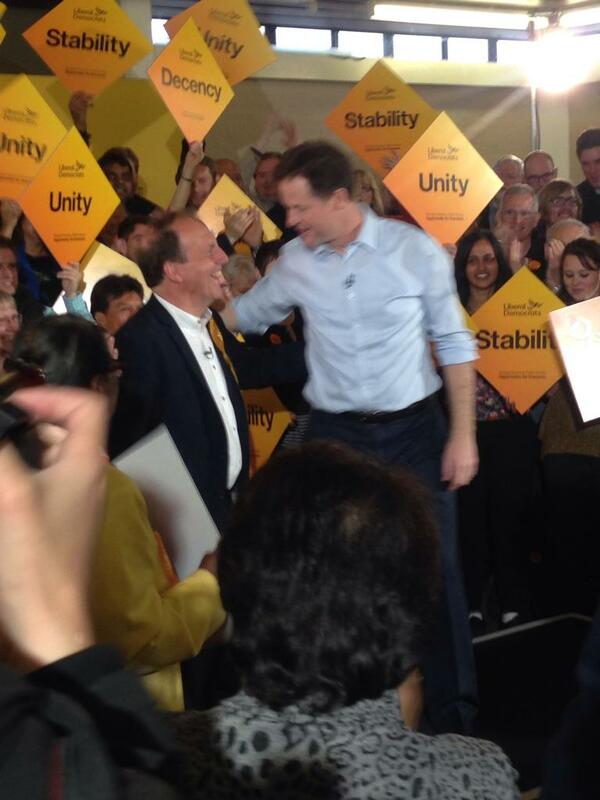 We now know what the Lib Dems are not prepared to back down on in the event of coalition trading. Nick Clegg has set out his final conditions for any coalition involving the Liberal Democrats, with increasing public sector pay a priority. Nick Clegg has issued a warning that he is not prepared to tear his party apart in order to enter into a second coalition with the Tories.